Solomon Amaranthe was born a member of Sapient. Born to the pack's former councilor, Akantha, he boasts Onuban heritage -- as well as a darker bloodline from his unknown father, Bacchus Revlis of Salsola. 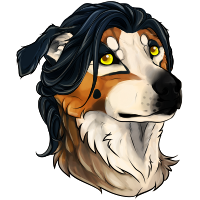 The firstborn of his litter alongside Lucian and Odalis, Solomon has taken on a "father figure" role to his siblings -- largely to make up for his biological father's absence and the fickleness of his mother, whom he fosters some resentment toward for her excuses. Shortly after his birth, Akantha fell into a depression and subsequently out of grace from her lofty position in the pack. Her Mother received word in December of 2016 that Thalia had arranged a marriage for her in Onuba, and that she should return home at once. After many discussions with Semini, Akantha eventually decided to return home to Onuba to fulfill this arrangement, bringing her children with her. In Onuba, Solomon spent most of his time working with his Grandmothers Andalusians and became quite adept at working with them. He finds companionship in horses that he does not find with people and can sometimes find it difficult to connect with those outside of his direct family. When he works with the animals he becomes a different person; assertive, confident - a broad shouldered man that can handle anything in stride. Outside of the arena he can be broody and thoughtful, though no less kind than his sister. Lucian is one of the only characters in his life that can always get under his skin. Solomon finds it difficult to balance the strong bond that urges him to protect his brother while also wanting to punch him in the face. In the Summer of 2018 Solomon abandoned Onuba to find his sister in the wake of his mothers marriage and joined her in Cour des Miracles as a Roturier. He brought his most prized horse along with him for the journey; a silver mare named Bruma. 33% Dog: Alaskan Malamute, King Charles Spaniel, Australian Shepherd, Irish Setter, Siberian Husky, Pharaoh Hound, Irish Wolfhound, German Shepherd, et. al. I have some plotting in the works for Odalis that could/would directly effect Solo! Hmu! 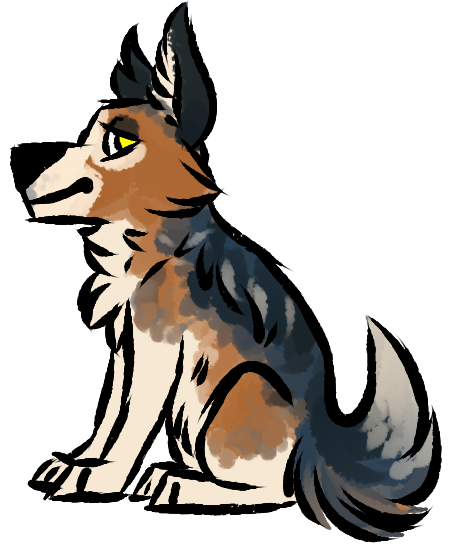 Species: Solomon clearly resembles a wolfdog hybrid, with little if any evidence of his coyote heritage. Fur: Short-medium length, plush fur that only subtly curls. Optime Hair: Dark and curly, usually pulled back (manbun, anyone?) or otherwise tamed. Facial Features: Solomon has a long muzzle and a chiseled head shape, with obvious domestic influence that makes his face square but soft. His ears are furry and carry the cocked or semi-pricked shape. Build and Size: Solomon stands at the upper end of average. He is broad-shouldered and stocky like a working dog, though not stout; his height balances out. He looks trim enough when viewed from the side. Humanization: High -- though he does not shun his feral forms, Solomon has humanlike mannerism and dress. Solomon will wear plain-colored clothing -- robes, tunics, etc. Speech: Quiet, velvet baritone; soft Spanish accent; speaks carefully and properly. Scent: Rainwater, bulrushes, paper, woodsmoke; Akantha, Amaranthe, Sapient. Dutiful, courtly, and proper, Solomon nonetheless utilizes dry, cutting humor and brutal honesty when he makes his points. He has a soft spot for the vulnerable, such as his little sister and shy sitter, and is very kind, protective, and tender toward them. Mature for his age, he has (felt that he) had to bear the burden of "parenting" his siblings. After his mother's fall from grace, he has tried to keep his family on track. He might be perceived as bossy and patronizing as a result. Though he's somewhat dour compared to his peers, Solomon has inherited his mother's charisma to an extent. He is civil and pleasant, confident in his own skin. Packs: Friendly to Krokar due to familial and political connections. Species: Prefers dogs and wolfdogs; likely to stereotype coyotes as Inferni-brand. 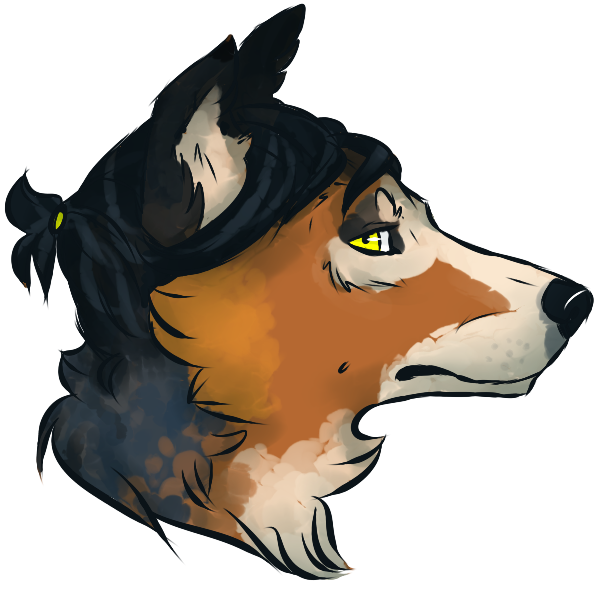 Non-Luperci: As with Sapient and his mother's people, Solomon carries a prejudice against non-shifters. This is not a hateful prejudice, but he sees them as impoverished and pities them. Gender: Solomon is extremely respectful toward women -- to the point that he seems to favor them over men (or is this the case)? Sexuality: Disapproves of "sleeping around," especially when it results in out-of-wedlock children. 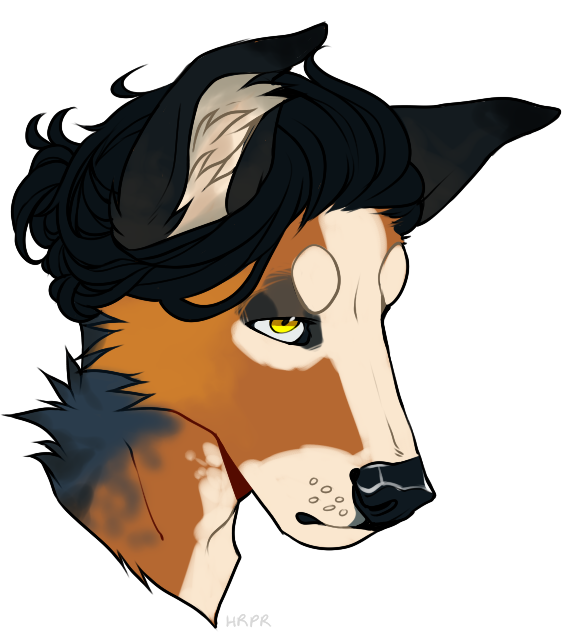 Akantha: Though as a youth he cherishes his mother, as he grows older and more aware of their "family situation" he will foster some resentment toward her for his lack of a father and the stories/excuses she makes for him. Odalis: Solomon dotes on Odalis and protects her from Lucian's teasing. He acts as an almost parental figure for her, shouldering the burden of responsibility and making sure she's well taken care of. 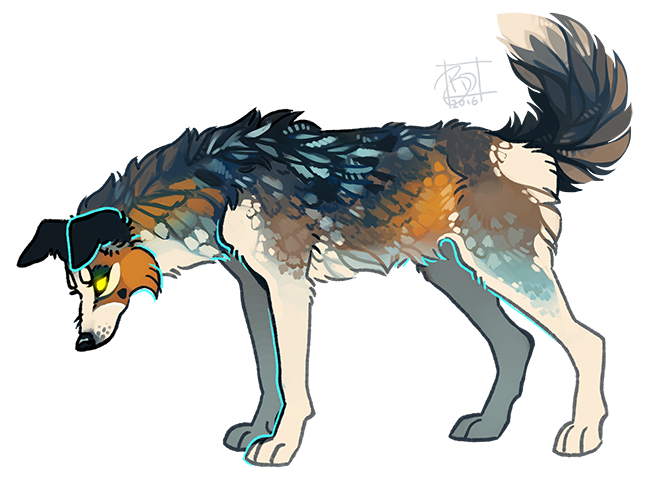 Lucian: His brother is also his rival -- for pack status, maternal attention, and other things. It's apparent that Solomon loves his brother, but whether this love will sour as they grow older and their rivalry becomes bitter is yet to be seen. Semini, Tiamat, Lotan: Solomon enjoys visiting his Krokaran aunt and cousins. He bonds with them over exciting activities like swimming and avoiding getting trampled by caribou. Camellia Amaranthe: His babysitter and tutor is a fragile but kindhearted woman. He doesn't give her any grief and will grow to be as protective of her as he is of Odalis. Ciellen Loreath: His mother's former mentor and friend is of great interest to Solomon -- at least his healing pursuits are. He is a little leery of Ciellen's relationship with his mother. Shaamah: A mercenary who escorted and protected Akantha on multiple occasions -- and who saved Solomon and his siblings from the fire. Solomon is not certain what to think of him.